Hobbledown is one of the South East’s most successful children’s adventure parks and has won a string of 13 awards since opening in 2012, following a £9 million refurbishment. 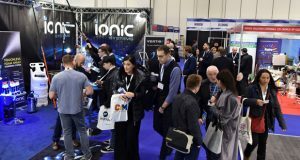 Most recently, they received a ‘TripAdvisor Excellence’ rating and also won ‘Attraction of the Year’ in both 2017 and 2018, at two different award ceremonies. 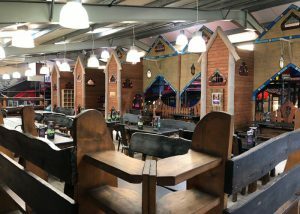 As an outdoor adventure park with extensive indoor soft play facilities, Hobbledown is a very popular year-round attraction, welcoming well over 200,000 visitors each year. 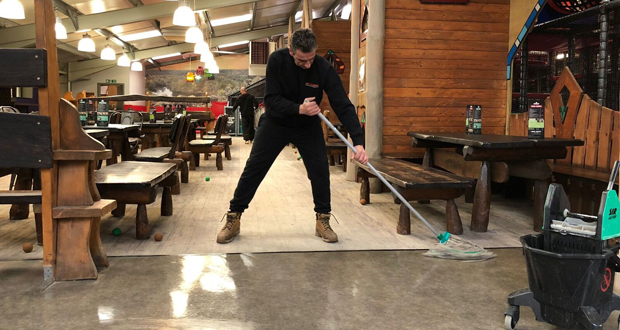 With hundreds of toddlers and older children using the park every day, maintaining high standards of cleanliness and hygiene is absolutely essential – especially since the site also features a working farm that’s open for animal lovers rain or shine. A large number of weekday visitors are annual pass holders, who come on a regular basis because Hobbledown offers a safe and healthy place for their children to learn, be active, enjoy the outdoors and experience an authentic, farm-inspired environment. The combination of indoor and outdoor facilities means the site can become dirty very quickly and needs constant attention to be kept pristine. Hobbledown’s management team know how much their visitors appreciate a clean and hygienic environment and use Mystery Shopper data, collected randomly from customers at regular intervals, to measure the standard of all facilities. Up to 2,500 visitors can use the site on a single hot day in the holidays and over the past two years, regardless of how busy Hobbledown has been, data collected shows that standards are consistently excellent. 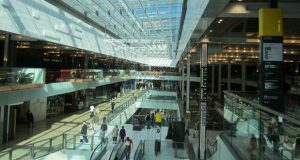 Every time Mystery Shopper research is conducted, reports come back verifying that customers are rating toilets and public areas ‘spotless’; and that the site as a whole is considered very clean and well maintained. It hasn’t always been that easy. 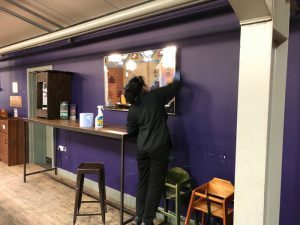 Over the years, Hobbledown has tried a number of different approaches when it comes to cleaning and maintaining facilities, with mixed results. 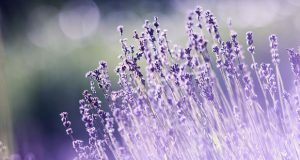 After initially opening, the site engaged a large contract cleaning company to take care of daily cleaning, but this proved unworkable. The company involved were only working during the evenings which created security and supervision issues. It was difficult to ensure cleaning procedures were being followed consistently, managing the cleaning operatives was time consuming overall and the results seen were inadequate. Coupled with this, transport to and from Hobbledown was proving an issue for some cleaning staff, because of the site’s semi-rural location and limited public transport. Since company management were not based in the area, they were unable to step in and provide hands on support if needed at short notice. Following this, daily cleaning was brought back in-house, in an attempt to improve levels of control and hygiene standards. This too was problematic, due to difficulties finding experienced operatives either with the skills needed, or who were willing to join the Hobbledown payroll. All these issues led Hobbledown’s management team to consider re-appointing an external cleaning company. This time, they wanted to engage a local specialist to whom responsibility for all day to day cleaning could be outsourced and the job effectively ticked off from their ‘to do list’. “Since SAF came on board all the problems we used to encounter with cleaners on a daily basis have disappeared and on the few occasions when there has been a slight issue, it is always resolved very quickly. This means my team can focus on what we do best – creating an amazing experience for the whole family – safe in the knowledge that the public facilities will always be outstandingly managed,” says David Long, General Manager at Hobbledown. SAF works differently to many other cleaning firms. Rather than relying on temps and sub-contractors, they employ cleaners directly and the same team is based at Hobbledown permanently. Although this can reduce SAF’s profit margins as a supplier, it brings much greater levels of customer satisfaction and service efficiency to their customers. The resulting consistency means the team based at Hobbledown take real pride in their work and also have the opportunity to develop a working relationship with the in-house teams at the site, improving levels of communication all round. Transport is never a problem because staff can be dropped off and collected seven days a week if needed and management make twice weekly inspection visits to ensure all areas are always meticulously covered. 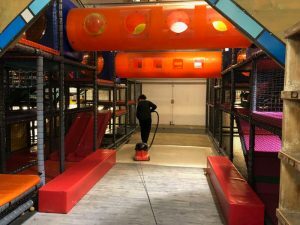 SAF also offers an overnight deep clean service for heavily used areas, such as carpets in entrance areas, and handles the specialist cleaning of soft play equipment in the play barn when required.